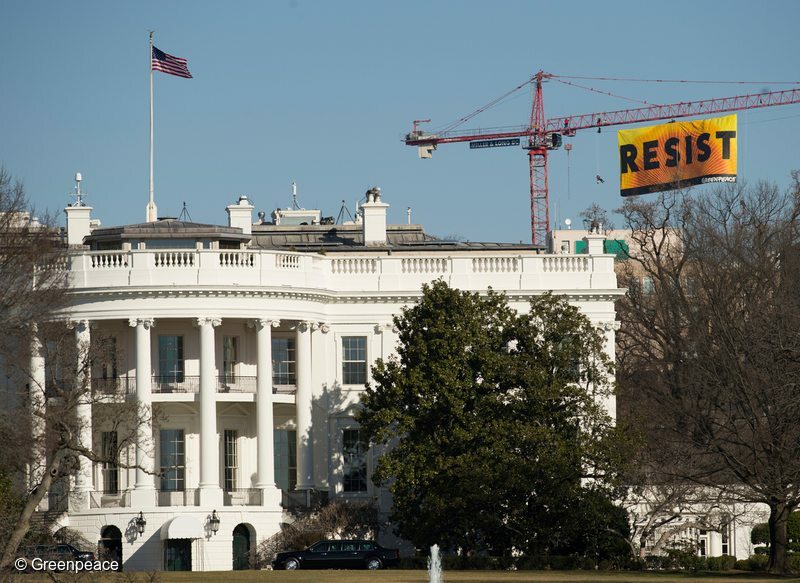 Greenpeace activists deploy a banner on a construction crane near the White House reading "RESIST" on President Trump's fifth day in office.The activists are calling for those who want to resist Trump's attacks on environmental, social, economic and educational justice to contribute to a better America. Washington, DC – This morning, seven activists deployed a 70-foot by 35-foot banner of the word “Resist” above the White House. 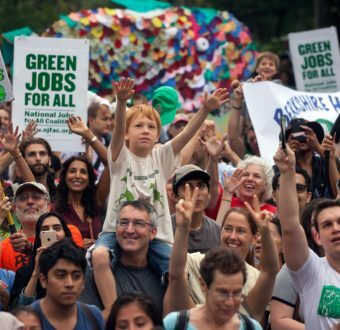 The activists from around the country are still in place, calling for those who want to resist Trump’s attacks on environmental, social, economic, and educational justice to contribute to a better America. The Greenpeace USA activists say they are prepared to stay in position throughout the morning to reach as many people as possible through live broadcasts on Greenpeace USA’s Facebook page, tweets from the activists’ twitter accounts, and media interviews. The action this morning comes after days of sustained protests against Trump, including the four activists who disrupted Rex Tillerson’s confirmation hearing with “Reject Rex” signs earlier this month, the veterans arrested in Senator John McCain’s office last week, and the hundreds of thousands of participants in Women’s Marches across the country over the weekend. Since Trump has taken office, his administration has removed all mentions of climate change and LGBTQ rights from the White House website, taken steps to bring back the Dakota Access and Keystone XL pipelines, and issued a press gag order on all employees of the Environmental Protection Agency and the Department of Agriculture. For live updates, viewers can tune into the Facebook Live broadcast and follow tweets from the activists.